As the Bosnia and Herzegovina national team players walked over to applaud their loyal following at the conclusion of Sunday’s goalless draw against the USA, you would have forgiven many of those supporters for not knowing too much about the players representing them. This was after all a squad of 21 players, 16 of whom played their domestic football in the sub-standard Premier League of Bosnia and Herzegovina. The only notable name on the team list was stand-in captain Haris Medunjanin who is now based in the MLS with the Philadelphia Union and featured for the Dragons in their maiden World Cup appearance in Brazil four years ago. The fixture at the half-empty StubHub Centre in Carson, Los Angeles was the Balkan nation’s first under new manager Robert Prosinečki who replaces the outgoing Mehmed Baždarević in the hot seat. The failure to qualify for Russia was bitterly disappointed for a country where the national team evokes much hope in its citizens who have grown frustrated at the stagnant political quagmire which engulfs the state more than 22 years on since the Dayton Accords. While nobody disputed Bosnia’s inferiority to a supremely-talented Belgium side, their ceding of second place to a poor Greece team – who were subsequently comfortably beaten by Croatia in the playoffs – was a bitter pill to swallow. Having led 2-0 away in Nicosia to Cyrpus, Bosnia capitulated in 11 second-half minutes and conceded three times to throw away second place. A 4-3 loss to a long-qualified Belgium on a horrendous surface at the Grbavica Stadium in Sarajevo confirmed their fate. 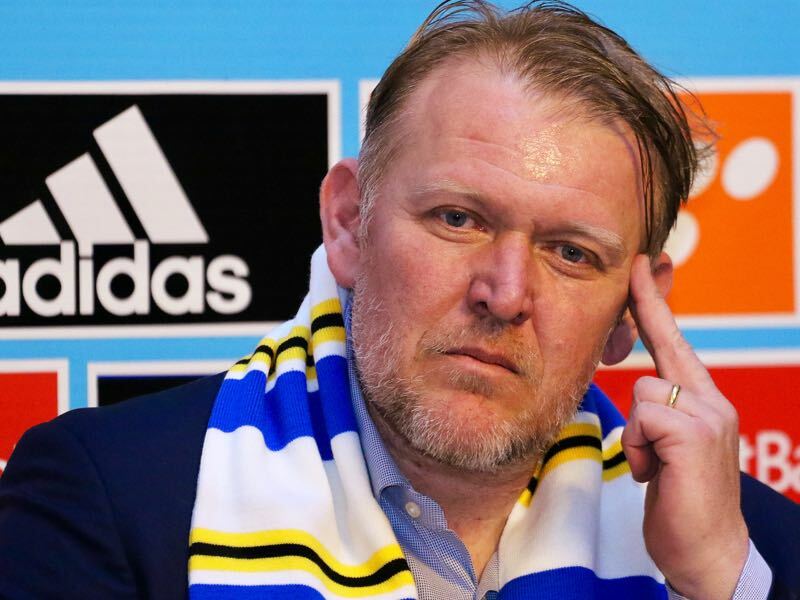 Having achieved a modest improvement in his three years in charge of the Azerbaijan national team, Prosinečki’s next task is to guide BiH through the UEFA Nations League and into Euro 2020 qualifying as they look to secure passage for their maiden appearance on the continent’s biggest stage. The former Croatian international will be without the services of veteran striker Vedad Ibišević who has announced his retirement from the national team having won 82 caps over the last decade. Of his 28 strikes for the country, the 33-year-old has scored the nation’s two most important goals in the winner against Lithuania which booked their ticket to Brazil before netting their first World Cup goal in the 2-1 defeat to Argentina in the Maracana. The assist provider of the latter goal was Lazio captain Senad Lulić who too has ended his international career after nine years and 57 caps of service. Nor will Prosinečki be able to count on the services of Bosnia’s captain at that tournament with the imposing and sometimes temperamental captain Emir Spahić now 37 and without a club after leaving Hamburg last May. Furthermore, goalscoring left-back Sejad Salihović joined HSV last September, but at 33 is unlikely to be part of the manager’s long-term plans. 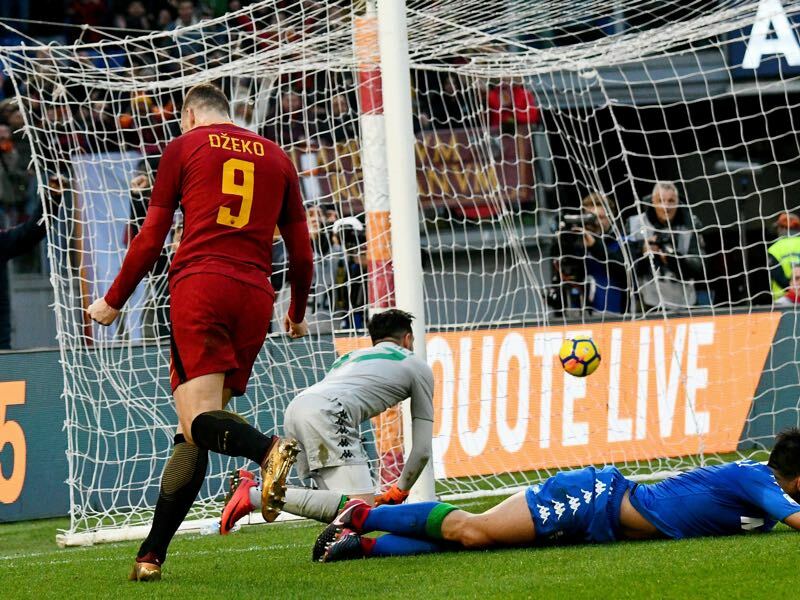 Medunjanin himself will be 33 in March while Chelsea-target and reigning Serie A Golden Boot winner Edin Džeko turns 32 that month and has shown signs of slowing down of late after some impressive early-season form for Roma. Alongside the prolific frontman, Prosinečki will look to Bournemouth goalkeeper Asmir Begović, Arsenal left-back Sead Kolasinac, new Middlesbrough loanee Mo Besić and Juve midfielder Miralem Pjanić to provide the necessary leadership core for the upcoming 30 months. But what lies outside of that? In goals, 29-year-old Ibrahim Sehić is Begović’s understudy and featured in both the friendlies in the North American tour having impressed for Azerbaijan side Qarabag in the Champions League this term. 30-year-old Zenica native Jasmin Burić has lost his place as Lech Poznan’s number one while 23-year-old Zrinjski Mostar custodian Kenan Pirić, 22-year-old Borac Banja Luka shot-stopper Nemanja Trkulja and 21-year-old Goran Karačić of Sandhausen in Germany are the inexperienced youngsters who have received call-ups in the recent months. In defence, Prosinečki is not short of options however many of the players used by Bazdarević in World Cup qualifying were caught cold in crucial moments with defensive errors a hallmark of Bosnia’s failed campaign. Centre-backs Ermin Bičakčić (Hoffenheim) and Ognjen Vranjes (AEK Athens) were used four and five times respectively at right-back without convincing in the role. At left-back, 29-year-old former Swiss youth international Daniel Pavlović of Crotone made his debut last year and will no doubt be an able back-up to Kolasinac. Perhaps Prosinečki’s biggest headache will be to work out his preferred centre-back pairing which has changed considerably since Spahic’s retirement. Genoa’s 30-year-old defender Ervin Zukanović is currently Bosnia’s most in-form defender while 29-year-old Toni Sunjic of Dinamo Moscow has played regularly for the Moscowites since his move to the Russian capital in the summer from Stuttgart. The duo alongside the dependable Edin Cocalić (Mechelen) have their spots under threat following the emergence of several youngsters. Eredivisie-based pair Dario Dumić (Utrecht) – who had previously featured for Denmark at youth level – and 24-year-old Groningen centre-half Samir Memisević are improving by the week in the Netherlands. 21-year-old promising Sarajevo centre-back Marko Mihojević received his first cap against the US before flying out of California to complete a move to Greek league leaders PAOK. Prosinecki will also no doubt be looking to cap Celtic defender Jozo Simunovic following his recent change of allegiance from the Croatian national team. In central midfield, Bosnia were without the services of the injury-plagued Besić for much of the qualifiers although the emergence of new Standard Liege signing Gojko Cimirot in that role was positive. The former Croatian international Mato Jajalo was another to switch allegiances during the qualifiers; however, his starting debut in the 4-0 defeat to Belgium made the Palermo midfielder an easy scapegoat for supporters and media alike. Former Austria U-21 international Anel Hadzić (Videoton) is another candidate for the midfield enforcer position. 2017 Bosnian Footballer of the Year Pjanić will no doubt accompany any number six in the squad with the likes of Sanjin Pricić (Rennes) and former German youth international Mario Vrančić (Norwich City) able deputies. Much like his predecessor Bazdarević, Prosinečki is expected to play with a 4-2-3-1 making the presence of an effective number 10 paramount. Second striker Ibisevic was primarily used in that role over the course of the qualifiers as the former manager shifted to a 4-4-2 when goals were needed. 26-year-old roaming midfielder Izet Hajrović has moved to Dinamo Zagreb in the hope of reviving his club career which has somewhat stagnated after three years in the Bundesliga with struggling Werder Bremen. Another former Swiss youth international capable of playing in the role is Danijel Milicević who was a sensation for Gent in their run to the Champions League Round of 16 two years. However, at 32 the recent Metz recruit might have missed his chance to thrive in the role particularly given some of the youngsters knocking on the door. Having already being capped by the Zmajevi on three occasions, 24-year-old Empoli midfielder Rade Krunić has been an ever-present in Serie B this term and is also capable of playing out wide and further back. At Dinamo, new man Hajrović will also team up with exciting 20-year-old prospect Amer Gojak who has been capped 55 times by Bosnia and Herzegovina at various youth levels while Zrinjski Mostar midfielder Marijan Cavar has secured a transfer to Eintracht Frankfurt where fellow Hecegovac Niko Kovac will coach him. On the right-side of midfield, Prosinečki can count on Edin Visca to provide endless energy and efficiency down the flanks. The 27-year-old has become an essential player for club and country and is one of the key drivers behind Basaksehir’s push for the Turkish league title. 22-year-old Konyaspor winger/attacking midfielder Deni Milosević provides plenty of spark having impressed in the Europa League this campaign and is the son of former Yugoslav international and Sloboda Tuzla legend Cvijan Milosević. Ex-Sevilla winger Miroslav Stevanović is doing well in the Swiss second tier with Servette having joined from Željezničar in the summer. On the left, Dynamo Dresden’s Haris Duljević is hoping to benefit from Lulić’s recent retirement by making the position his own while 20-year-old Siroki Brijeg winger Luka Menalo caught the eye with moments of spark in the stalemate against the States. Rijeka’s Zoran Kvrzić is another wide option as is veteran wing-back Avdija Vrsaljević who is one of only four BiH players to score at the World Cup. Up front, there is no clear replacement for Ibišević with Meho Kodro’s son Kenan struggling to impose himself in the Bundesliga this season with Mainz. The son of the former Barcelona forward received game time at the tail end of qualifying primarily due to injury ruling out the reliable Milan Durić (Bristol City) from any action. Much was expected of 23-year-old striker Riad Bajić following his transfer from Konyaspor to Udinese in the summer, although the ex-Željezničar forward is back in Turkey where he finds himself on loan at Visca’s Basaksehir. 19-year-old teen sensation Ermedin Demirović has netted three times in as many games for Deportivo Alaves in the Copa Del Rey and will be looking to make his mark in the second half of the campaign as he looks to secure their top-flight safety. Outside of that, Prosinečki will also no doubt scour the nation’s various diaspora communities for talent although such an exercise might prove more challenging to sustain in the years to come due to the increased levels of integration many within the Bosnian expatriate community hold. Austria looms as one of Bosnia and Herzegovina’s two Nations League opponents late this year, and by the time they face off, their opponents may have highly-rated 21-year-old Austria Wien goalkeeper Osman Hadžikić in their ranks. 19-year-old Stuttgart attacking midfielder Dzenis Burnić – who is on loan from Borussia Dortmund – is another child of Bosnian parents who could represent his birth country over Bosnia having appeared for Germany 32 times across various youth levels so far. The best-case example of this occurred last year when 21-year-old Groningen winger Ajdin Hrustić elected to represent Australia despite interest from the BiH national federation. Although born in Melbourne, the winger played the majority of his youth football at a local Bosnian club and was a keen supporter of the national team. Despite leaving Australia aged 14 and moving around Europe since then, he made his debut for the Socceroos in a friendly against Brazil last June in his hometown, much to the disappointment of Bosnian officials. While many may point to the fact that the World Cup squad of 2015 contained 15 players out of the 23 who had either been born or raised outside Bosnia and Herzegovina, the newer generation is different from the likes of Ibišević, Lulić, Begović and Co. who had vivid early memories of a Bosnian childhood ultimately disrupted and shaped by the three-and-a-half-year conflict. Those experiences proved essential in forming their understandings of identity and collective belonging which lay with their home country. 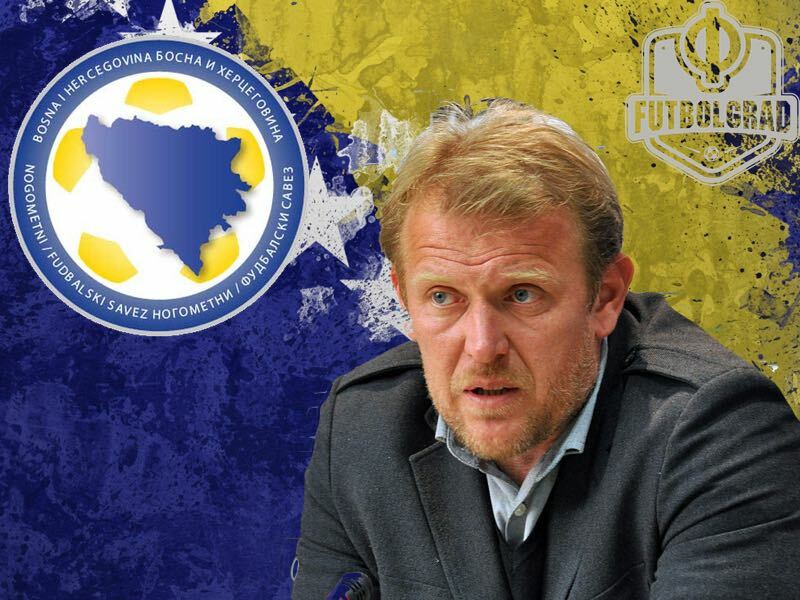 Despite this predicament, Prosinečki can count on an increasing number of Bosnian Croat and Bosnian Serb players now electing to represent Bosnia ahead of Croatia or Serbia. Traditionally this has not always been the case with Nikica Jelavić and Neven Subotić, who are prominent examples of footballers born in BiH who decided that ethnic allegiances outweighed any national loyalties. While Frankfurt’s Serbian duo of Mijat Gaćinović (born in Trebinje) and Luka Jovic (Bijeljina) are two that got away, both Durić and Simunović are examples of the contrary. Prosinečki’s North American tour squad epitomised this with seven Croats joining four Serbs and nine Bosniaks with the increased number of Bosnian-Croats a reflection of Zrinjski and Siroki’s domestic success over the last decade in nurturing some of Herzegovina’s best talent. The presence of Bosnian Serbs like Cimirot, Durić, Krunic, Mihojević, Milosević, Stevanović and Vranjes in national colours is a welcome sight at a time when the leader of Republic Srpska Milorad Dodik seeks to push a more autonomous agenda. Politics aside, the former European Cup winner will have his work cut out in moulding his team without any administrative, political interference. Having failed to build on from Brazil 2014 during the tactically-flawed Bazdarević era, the man nicknamed ‘Zuti’ will hope to inspire a similar rejuvenation that his former manager and one-time critic Ciro Blazević imposed on the national side almost a decade ago when the national team was, like it is now, at the crossroads.